The care that a person requires can vary in complexity, and we can adapt to meet the needs of every individual’s care-plan, ensuring that the most appropriate level of staffing is providing care on the ambulance journey. You can fill in our online Pre-Transport form and one of our experts will be in touch as soon as possible to discuss your no-obligation quote. Under the Health and Social Care Act 2008, all independent ambulance services that provide regulated activities such as patient transfer services must be registered by the Care Quality Commission from 1 April 2011. Immediate Care Medical is registered with the Care Quality Commission (Certificate number 1-334088852) and is authorised to carry out the following activities – transport services, triage and medical advice provided remotely. 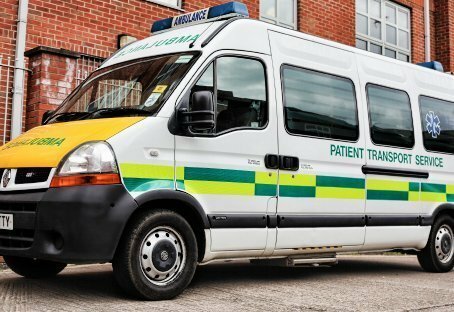 All our ambulances are equipped to the highest standard for patient transfer services with automatic electronic defibrillators (AEDs), monitors, oxygen facilities and are fitted with access ramps and floor tracking to enable the safe transportation of wheelchair patients.